Peshawar is the capital of the Pakistani province of Khyber Pakhtunkhwa. It also serves as the administrative center and economic hub for the Federally Administered Tribal Areas. Situated in a broad valley near the eastern end of the historic Khyber Pass, close to the border with Afghanistan. Peshawar is the largest city of Khyber Pakhtunkhwa province. According to the last census, it is also the ninth-largest city of Pakistan. Peshawar’s east-west growth axis is centered on the historic Grand Trunk Road that connects Peshawar to Islamabad and Lahore. The road is roughly paralleled by the M-1 Motorway between Peshawar and Islamabad, while the M-2 Motorway provides an alternate route to Lahore from Islamabad. The Grand Trunk Road also provides access to the Afghan border via the Khyber Pass, with onwards connections to Kabul and Central Asia via the Salang Pass. Peshawar is to be completely encircled by the Peshawar Ring Road in order to divert traffic away from the city’s congested center. 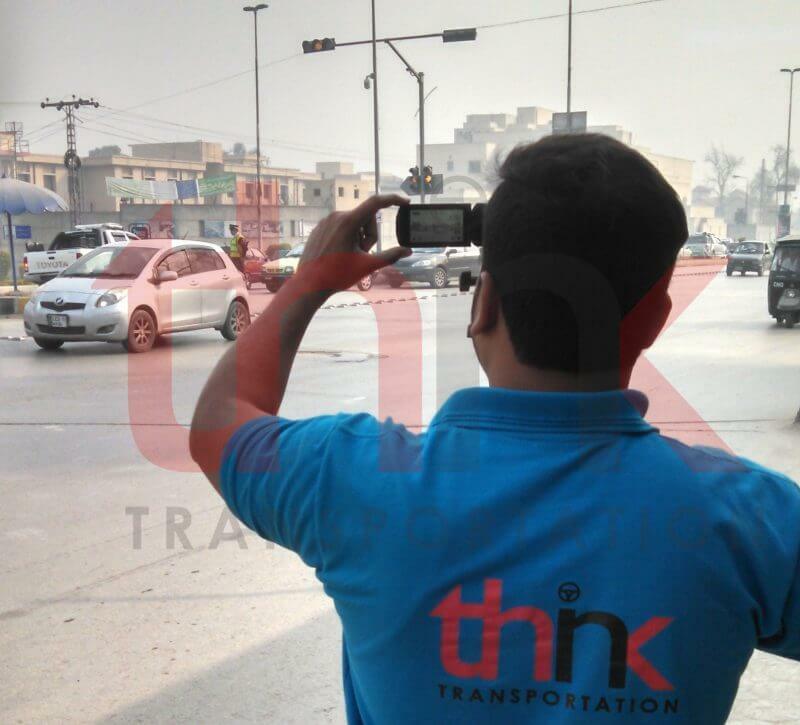 Grand Trunk Road serve as major arterial of Peshawar, covering all day to day activities of Peshawar. Public transport system was not fulfilling the demand of city with less number of buses with low capacity and high travel time, therefore, the provincial government of Khyber Pakhtunkhwa in 2013 put forward an idea of Rapid Bus Transit System for Peshawar City to cater the need of public transport of city named as “TransPeshawar”. Capture the existing condition. Think Transportation undertake a detailed analysis and mapping of all active public transport routes in Peshawar, and their frequency (i.e. the number of buses per hour and per direction). Think Transportation study the quality of the existing NMT facilities and services along the selected BRT route and conduct “accessibility audits” around each proposed BRT station and characterized the state of the walking and cycling environment. The team will utilize photographs to capture the existing conditions. Think Transportation (i) analyze on-street and off-street existing parking patterns and practices; and (ii) identify and characterize locations prone to illegal parking practices (e.g. parking on footpaths). 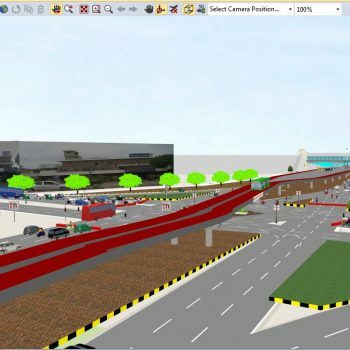 Think Transportation provide topography map of the BRT corridor in AutoCAD format showing the following detail: road, sidewalks, property wall, building, trees, street utilities, poles and signs, traffic lights, bus stand, pedestrian crossings, median and other street components erected along the BRT corridor, including the cantonment boundary if any. Conceptual Traffic Management Plan. In conjunction with the conceptual BRT plan, Think Transportation investigate mechanisms for managing and optimizing the flow of mixed traffic movements along the Phase 1 BRT corridor. This activity will focus upon a conceptual traffic impact analysis. optimization of intersections. development of recommendations on a traffic control center, and the promotion of traffic calming in areas requiring pedestrian safety. Think Transportation produce a traffic impact analysis of intersections and turning points along the Phase 1 BRT corridor. The team will seek to optimize the design to mitigate any delays resulting from the conversion of traffic lanes to bus-only lanes. Think Transportation recommend the conceptual physical treatments of the key intersections and roadway segments. Amongst the types of physical treatments to be considered are signal phase optimization, signal prioritization for BRT, and queue jumping. For road sections and intersections with critical width constraints, design and traffic solutions will be devised. This will include conceptual engineering drawings of key locations, and will also include the analysis of the traffic signal requirements at each intersection along the BRT route. While the infrastructure focus will likely be placed upon the principal corridor alignment, prioritization infrastructure, such as signal prioritization and queue-jumping lanes, may also be considered at key points of connecting route alignments that operate off the main corridor. Cost Analysis. Think Transportation provide the local cost information required to build the infrastructure at conceptual design stage. Together with international BRT cost engineer, Think Transportation work to formulate the cost of infrastructure, demolition and other costs. The TransPeshawar transit system will be served by 31 stations, and span the entire urban region of Peshawar from east to west. An initial 383 buses are to service the line. TransPeshawar will consist of a dedicated bus-lane that will stretch from Chamkani in the east, to Karkhano and Hayatabad in the west. The system will have 31 stations and will be mostly at grade, with four kilometers of elevated sections with 3 elevated stations. 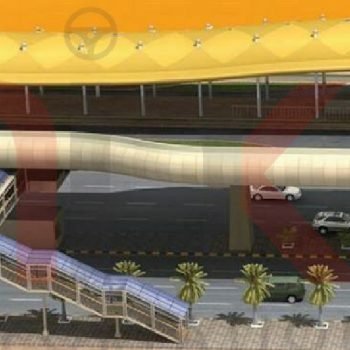 The system will also contain 3.5 kilometers of underpasses. The entire lane will be fenced to prevent unauthorized pedestrian crossings, and to prevent vehicular traffic from entering the bus lane.